A larger image of Irish warriors by Albrecht Dürer, 1521. Irish warriors by Albrecht Durer, 1521. Durer was in the Netherlands in 1520-21, where he may have encountered Irishmen serving the Hapsburgs as mercenaries. 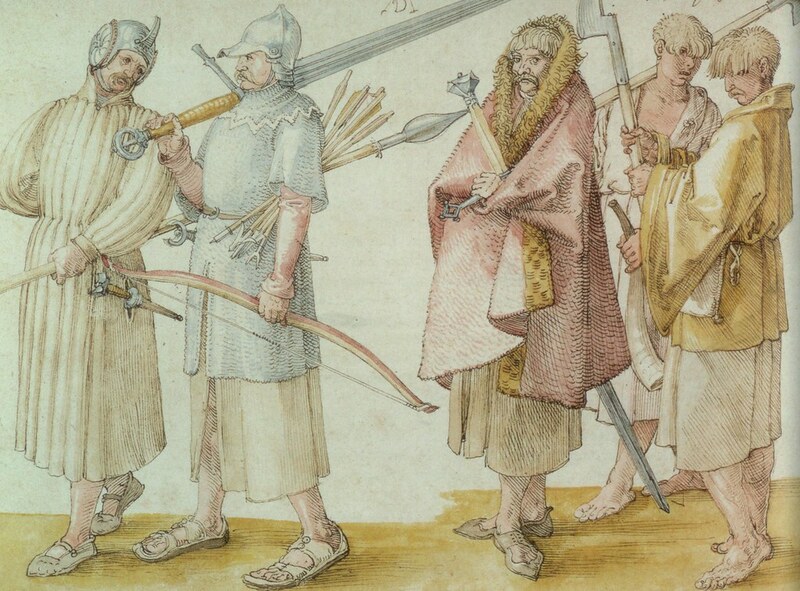 The extremely precise and accurate rendering of the arms and equipment of these warriors - almost certainly ex-galloglass and their attendants - strongly suggests that Durer made this sketch from life. Held by Kupferstichkabinett, Staatliche Museen zu Berlin.